This is a self-improvement therapy that focuses on each individual as a whole and treats the mind, body and spirit which offers a whole host of valuable benefits, including relaxation and feelings of inner peace, security, comfort and well-being. Progressive Counselling deals with the present and looking forward in a sustainable way, within an environment of trust, unconditional love and respect. Any problem or issue can be discussed in a positive, forward thinking and truthful manner to promote progression and positive change. It combines loving and gentle with a direct and thought provoking approach, and works with the individual as a whole, stimulating the mind, body and spirit. Progressive counselling is a powerful self-improvement therapy that is very much about empowering individuals to take a healthy charge of their own life and is also often used alongside healing. Many come to Progressive Counselling for help with issues relating to partnerships, family, bereavement, and business relationships. Plus guidance with spiritual or emotional development and for general progression, self development or life skills to continue developing their lives and relationships to be the best they can be. 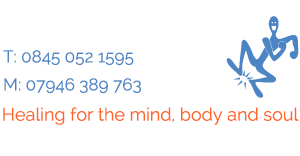 Professional, progressive therapist Sue Carberry helps individuals to see and choose the right path for their lives and allows them to make the right choices, whether it is a relationship, illness or any other stressful issue. This technique will never make an individual decision for them or tell them what to do, but will help them to unravel and see clearly what is hidden within themselves. Individuals often discover their own natural instinct, and as they develop a greater understanding of themselves, they find they are able to make better more decisive life decisions during therapy. Life patterns and habits that an individual wishes to change can be addressed in their own requested time, when it is right for them. Many clients have reported incredible health, emotional, self-improvements and an enhanced quality of life. This therapy is now available over the phone for clients who wish to receive treatment in the convenience and comfort of their own home. Please email or call for further advice or to book a therapy session. Watch the following video of Sue Carberry explaining more about Progressive Counselling.